Sixteen-year-old Eleanor Fitt's brother is missing. And when she discovers that the Dead are rising in Philadelphia and wreaking havoc throughout the city, she knows that her brother is involved. 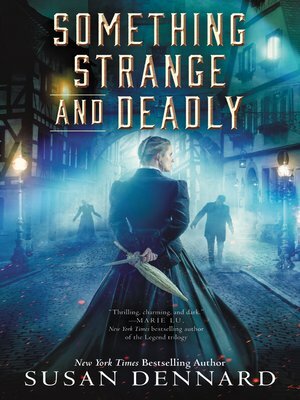 In Something Strange and Deadly, the first book in a trilogy, Susan Dennard weaves together vividly imagined scenes of action, adventure, and gorgeous Victorian fashion to create an entertaining steampunk tapestry of humor, horror, and romance. Readers who love Cassandra Clare's Infernal Devices series will be intrigued from the start.